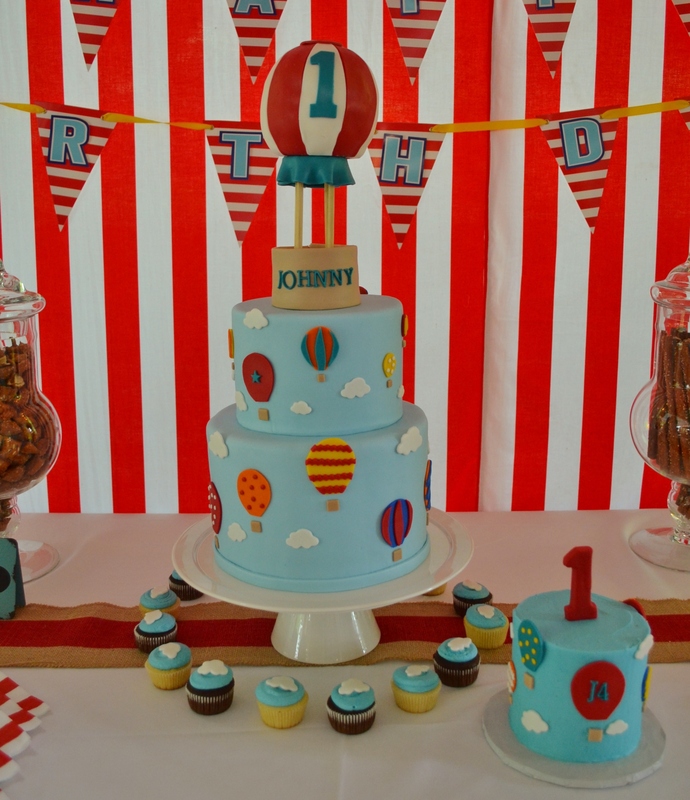 My client for this cake was throwing a hot air balloon themed 1st birthday for her son. We decided to keep it pretty simple with the bottom two layers being decorated with just a simple blue fondant and hot air balloons. For the top tier, we decided to go a little crazy and make a “floating” hot air balloon. 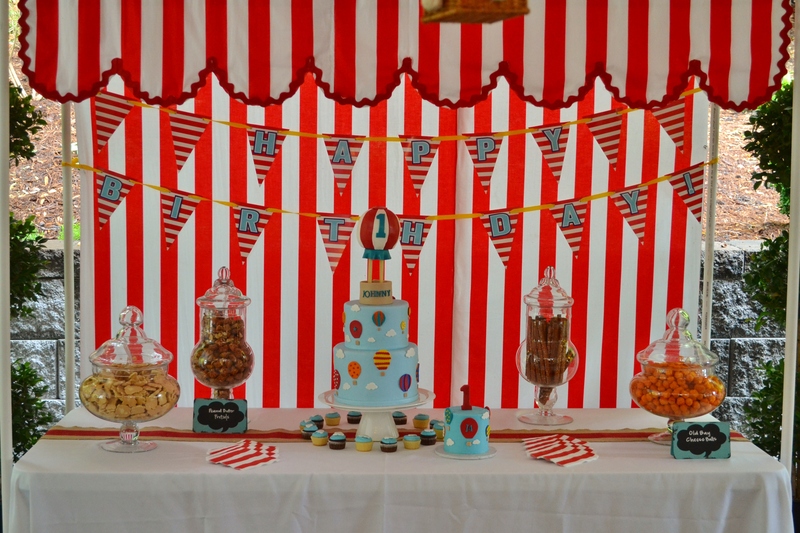 The balloon and basket are all cake and there are four dowels supporting the balloon part of the cake. I also did a complementing smash cake which is, as always, super smooth buttercream and not fondant covered. Finally, because she was concerned about not having enough servings (which is always a concern of my clients, and, for what it’s worth, she had the entire bottom layer of cake left after her party!) we complemented the cake with small “cloud” topped mini cupcakes.